Canadian universities have come a long way in understanding why students struggle at university, and what we can do to help them succeed. That includes understanding and addressing barriers that particular groups of students may face. 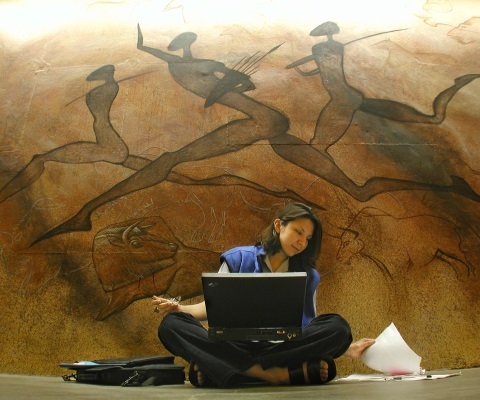 And at the University of Saskatchewan – and many Canadian universities – Indigenous students are top of mind. Research from the Environics Institute’s Urban Aboriginal Peoples Study shows that education is the top priority for Indigenous peoples and an enduring aspiration for the next generation. For good reason: a university education means better employment outcomes and higher salaries. And yet, only 10 per cent of Indigenous people (aged 25 to 64) hold a university degree, compared to 26 per cent of non-Indigenous Canadians in the same age group. More funding to improve access to higher education is crucial to closing the gap. But access without retention is of little benefit. 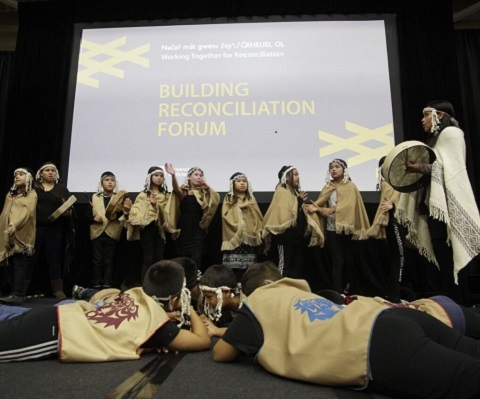 Efforts to support students throughout their university experience and build broader awareness and connections are central to universities’ role in advancing reconciliation. Many first-year students, living away from home for the first time, perhaps in a strange city, have difficulty juggling it all. Indigenous students feel that pressure and more. They are statistically more likely to be the first in their family to enrol in university. For some, the transition seems insurmountable and they don’t return for second year. At the University of Saskatchewan, for example, the retention rate for Indigenous students is only 63 per cent, compared to 79 per cent retention for all students. Particularly in a province with one of the highest Indigenous populations, we have to do better. New initiatives are starting to yield results. Our Aboriginal Student Achievement Program connects Indigenous students in a common set of classes, so they can provide support to each other and learn from upper-year mentors. After only a short time, students in this program have a stronger sense of belonging on campus, make greater use of student services, and are more likely to continue their studies into second year. These might seem like small things. But we know that once a student returns for second year, the likelihood of completing the degree is high. And once graduation levels increase, so will participation in graduate level studies. From there, we’ll see more Indigenous faculty and university leaders. A blazed trail is easier to follow. 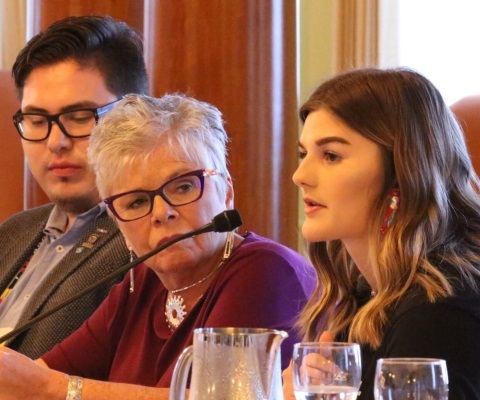 Similar efforts are underway at universities across the country with access support programs and peer mentorship to meet the needs of Indigenous students. Programs like these that boost retention and graduation rates are fundamental to unlocking the potential of Indigenous youth. But the role of universities in meeting the needs of Indigenous students and communities is broader still. The head of the Truth and Reconciliation Commission, Senator Murray Sinclair, named education as the key to reconciliation. Universities have embraced this responsibility. As educators, we endeavour to develop national and global citizens from all backgrounds who can effect change and participate in all spheres of influence. Universities are adapting curricula to nurture greater awareness and understanding between Indigenous and non-Indigenous students. Academic programs are being designed to better reflect Indigenous history and realities, helping everyone understand and acknowledge historical injustices and correct inaccurate narratives. At the University of Saskatchewan, all degree-granting programs will soon include Indigenous content. That means a new course on treaty rights in the law program, an aboriginal land management certificate in agriculture, and certificate programming in Indigenous languages, to name a few. Since 2013, Canada has seen a 33 per cent increase in the number of undergraduate and graduate programs focused on Indigenous issues or specifically designed for Indigenous students. Good work is being done, but we know we can do more for Indigenous students through higher education. And government is a key partner in making that happen. In Budget 2016, the federal government committed financial support for primary and secondary education to address the education gap for First Nations children and to ensure greater access to postsecondary education. That’s a crucial first step. Now is the time for the federal government to honour its commendable platform commitment, made in Saskatoon, to increase by $50 million the annual funding to the Post-Secondary Student Support Program (PSSSP) that provides financial assistance to Indigenous college and university students for necessities such as housing, books and tuition costs. The cap on the PSSSP for the last 20 years has prevented the fund from keeping pace with the rising costs of postsecondary education and with the growing number of Indigenous students aspiring to attend. Lifting the cap would enable tens of thousands more Indigenous students to do so. The PSSSP program is complex to be sure. But universities are also eager to contribute to the Budget 2016 promise to “explore how best to ensure that students wishing to pursue post-secondary studies have the resources and supports” to do so. With the right commitment from universities and governments, Indigenous students will get closer to having the same opportunity as non-Indigenous students to achieve their potential through education. And Canada will get one step closer to achieving reconciliation with Indigenous peoples.